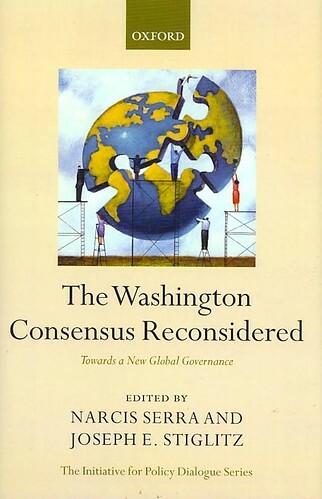 This volume brings together many of the leading international figures in development studies, such as 2008 Nobel Prize in Economics winner Paul Krugman, Jose Antonio Ocampo, Dani Rodrik, Joseph Stiglitz, Daniel Cohen, Olivier Blanchard, Deepak Nayyer and John Williamson to reconsider and propose alternative development policies to the Washington Consensus. Covering a wide range of issues from macro-stabilization to trade and the future of global governance, this important volume makes a real contribution to this important and ongoing debate. The volume begins by introducing the Washington Consensus, discussing how it was originally formulated, what it left out, and how it was later interpreted, and sets the stage for a formulation of a new development framework in the post-Washington Consensus era. It then goes on to analyze and offer differing perspectives and potential solutions to a number of key development issues, some which were addressed by the Washington Consensus and others which were not. The volume concludes by looking toward formulating new policy frameworks and offers possible reforms to the current system of global governance. 4. Is there a Post-Washington Consensus Consensus?